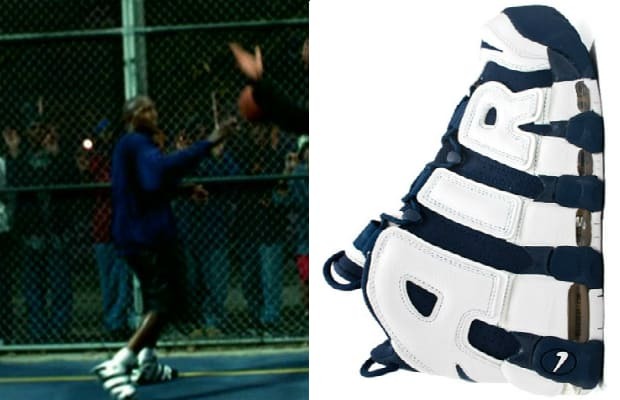 Complex says: You remember Scottie going hard in these during the '96 Olympics. The large 'AIR' on the side panel of the sneaker makes these stand out from almost any other Nike basketball shoe and the full Max Air unit was king when they first dropped. If you didn't love them you could always pop one and shoot them back to Nike for something new — c'mon, we all did it. In this scene when Jesus and the Rail Splitters get in a pick-up game at The Garden (the Coney Island one) we catch a pair on the feet of a player.